Having long nurtured a deep fascination with mermaids and all things watery, the VV was delighted when she was recommended the work of an author called Michelle Lovric. 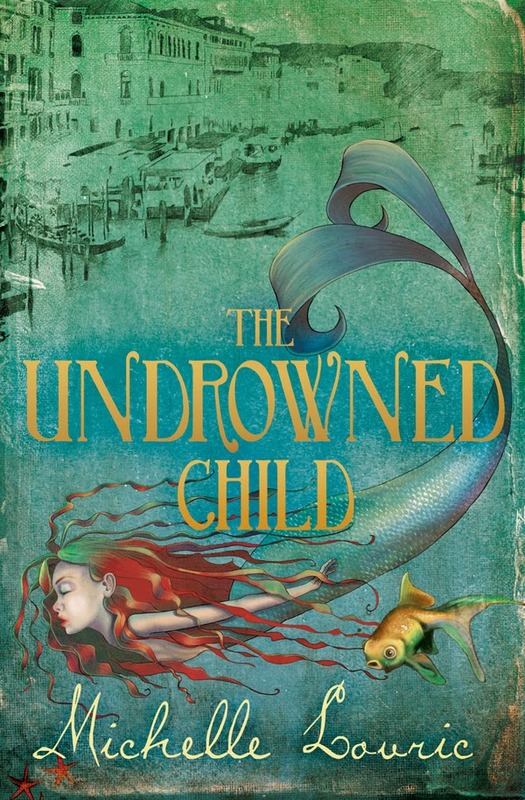 Lovric’s debut, The Undrowned Child, is marketed as a Young Adult novel, but the elegant depiction of Victorian Venice along with a complex and thrilling plot in which characters seem to step out of the page, is suitable for any age – particularly those who enjoy a good yarn, part historical, part fairy tale, and all spiced up with a liberal dose of ‘baddened magic’, and vampire eels, and ‘salty tongued’ mermaids who love to eat curry while running a subversive printing press – not to mention the ghastly villain, Bajamonte Tiepolo, who Teo – our novel's heroine – is prohecised to overcome destroy when he seeks to destroy the city she loves. 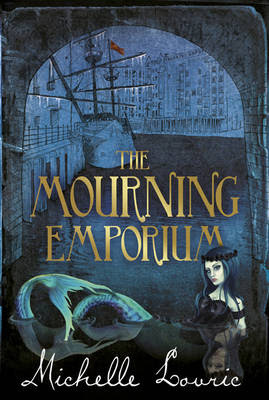 Having so enjoyed The Undrowned Child, the VV was eager to read its sequel entitled The Mourning Emporium. Here, once again, Teo must face Tiepolo – but first, she and Renzo, The Studious Son, find themselves leaving Venice for London while trapped on a floating orphanage, converted into a pirate ship on a mission to aid Harold Hoskins, the pretender to Queen Victoria’s throne. Teo, Renzo and their Venetian friends are set against daunting enemies, such as ghost convicts from the Hooroo, and the beautiful Miss Uish; a truly memorable character with her vile and sadistic nature. In fact, the cruelty of some scenes is almost too heartbreaking to bear. 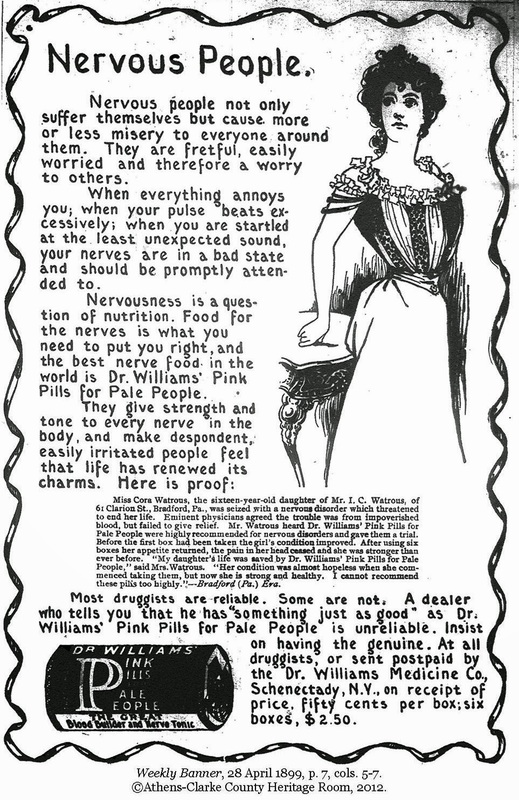 Once again, there is humour to lighten the mood, and that mostly stems from those pages where the Venetian mermaids appear, now in league with their London counterparts who are far more lanquid nowhere near as feisty, having become reliant on an array of quack powders and potions – referencing such remedies as Dr Williams’ Pink Pills for Pale People (Go to the very cause of the Mischief), and Lydia E Pinkham’s Vegetable Compound (Only a woman can understand another woman’s ills), both of which were actually once sold on the streets of Victorian London. Here, business is growing brisk due to Queen Victoria’s impending death and all of the preparations made for her spectacular funeral. The talking bulldog, TurtleDove, who loyally cares for the orphans, reminded the VV of Nana the nurse dog in Peter Pan – not to say that this book is derivative, for Lovric’s world is all her own. Beautifully written and skilfully told, this story succeeds on most every level. It will make you laugh, and cry, and flinch. It will leave you entirely satisfied. For a review of The Book of Human Skin, one of Michelle Lovric's adult historical novels - which are brilliant - please see this review from Lucy Inglis of Georgian London, who first introduced me to Lovric's work. Thank you, Lucy! And now, to whet your appetite more, there is a trailer available to watch on Youtube. Labels: MICHELLE LOVRIC. THE UNDROWNED CHILD. 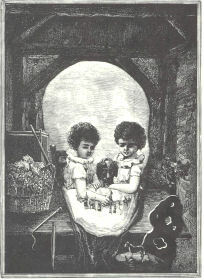 THE MOURNING EMPORIUM.